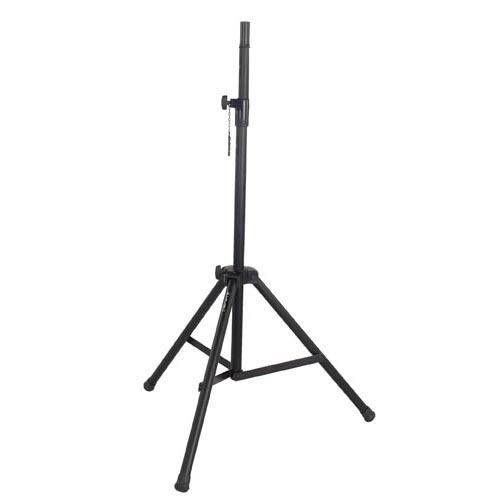 Heavy-duty 1-3/8" Tripod Adjustable 44" to 84"; 43" folded. This model is well-constructed and includes a locking pin which inserts into one of the holes provided in the upper shaft to prevent the shaft from slipping down under load. Finished with powder coat paint. For equipment with standard 1-3/8" tripod mount. 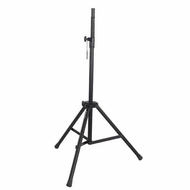 Product Dimensions: Height Adjustment: 44"-84" Base Spread: 32"-48"